Probate is a legal process whereby the probate court for the county where the decedent resided oversees the administering of a decedent’s probate estate. The probate estate will consist of all assets held in just the name of the decedent. The probate court will oversee the paying of all the decedent’s outstanding claims, expenses and taxes and the distributions of any remaining assets as expressed in the decedent’s will or, if no will, under the Ohio Statute of Descent and Distribution. What Is In The Probate Estate? How Long Will It Take to Probate An Estate? Generally, it will take a minimum of six months to probate an estate because creditors have six months from the date of death to file a claim against the estate. However, if estate taxes are owed, it can take a year or more to probate an estate because the estate tax return is not due until nine months after the date of death. If a will contest claim or other litigation claim against the estate is filed, it can take years to complete the process. Will I need an Attorney to Probate an Estate? Probating an estate requires preparing and filing many legal documents. As an example, there are documents to open the estate, to provide notice to creditors and heirs, to inventory and appraise the assets, to account for funds in the distributions from the estate, and to transfer assets to beneficiaries. Because the probate process can be rather complex, hiring an attorney is highly recommended. 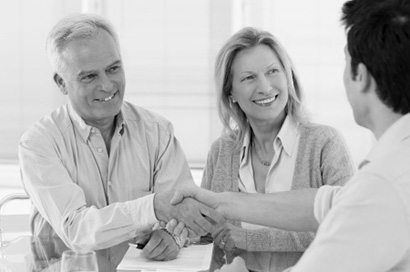 When you choose Brunsdon Law Firm we will work closely with you during this difficult time. In addition, Terri Brunsdon, an attorney and CPA with a masters in Tax. Call today at 330-374-1166, or send an email to [email protected]. If sending an email, please do not include any specifics on your matter for reasons of confidentiality.